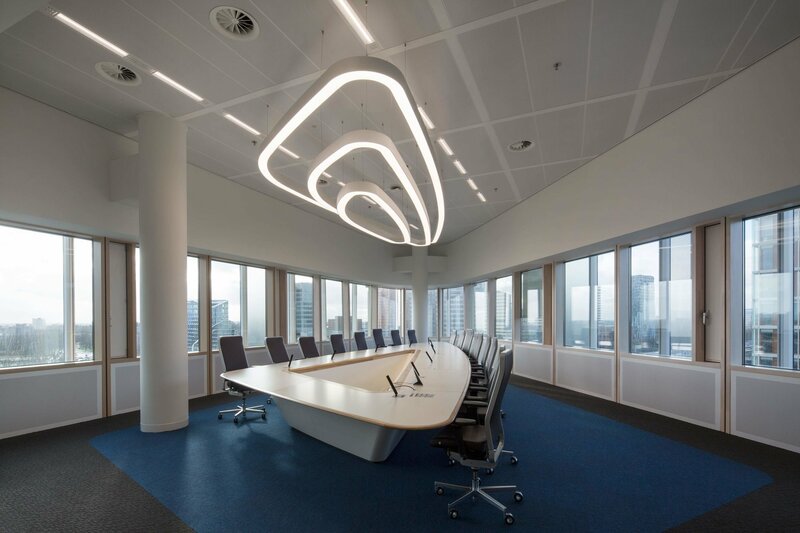 The company Presentation Partner B.V. from the Dutch town of Zoetermeer was planning to install a video conference system for a multinational client: a globally active manufacturer of paints, varnishes and chemicals. 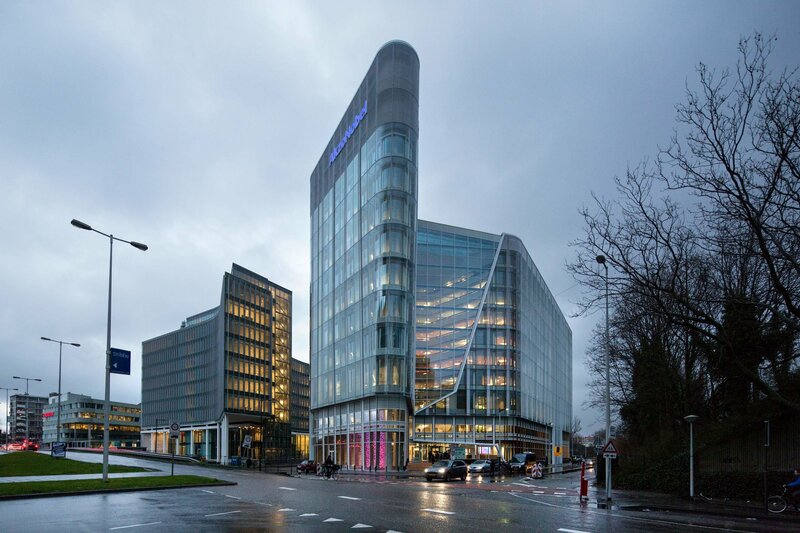 The aim of the client and the architect was to create a system for the new head office in Amsterdam with technology that provided the best possible speech intelligibility along with seamless technological integration. After intensive talks with the architect, the long-term beyerdynamic partner Electric Sound Benelux introduced the Orbis wired conference system. The beyerdynamic conference system’s flush mount microphone unit can be produced in any colour. A RAL colour that perfectly matched both the wishes of the architect and the minimalistic design of the meeting room could therefore be chosen. The Classis RM31Q vertical array microphone with patented Revoluto technology was used for the presentation, impressing architect and client alike. These vertical array microphones offer optimum speech intelligibility combined with subtle and inconspicuous design. 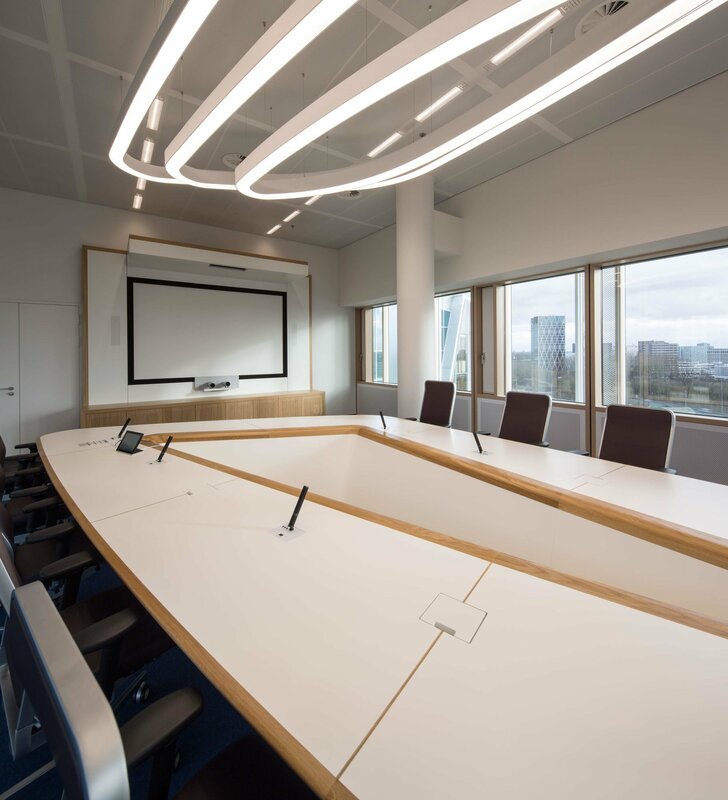 Installation has provided an optimum end result for all involved: speech intelligibility during video conferencing is perfect, while the aesthetic limitations inherent to gooseneck microphones can be avoided thanks to the RM31Q vertical array microphone. The architect appeared particularly impressed with the fact that the technology is completely built into the tables and, therefore, does not compromise the special design of the room.